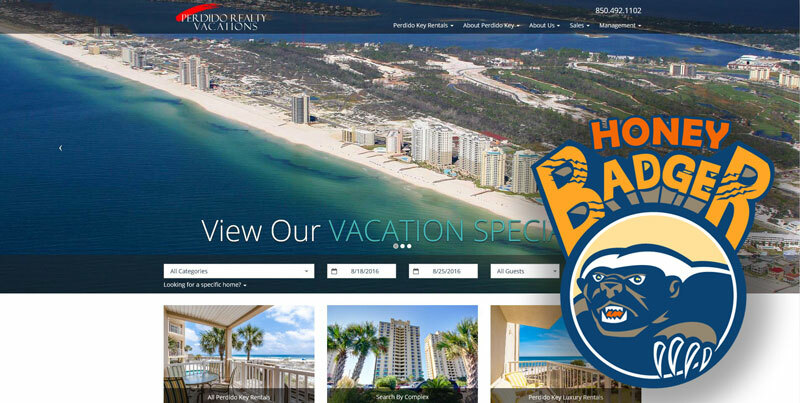 This month's Partner Honey Badger Award goes to Perdido Realty Vacations. Founded in 1971, the company manages more than 125 homes and condos in Perdido Key, FL. The company recently made the switch to LiveRez and has made some impressive gains since working with the LiveRez SEO/SEM team. They've moved to the front page on Google for three of their main keywords and have seen big increases in their traffic and online bookings, all while spending 73% less on Adwords. "The first page is awesome, and it is working," said owner Valerie Hawkins. "We are booking like crazy. It’s been a game changer for us."